If a blogger falls in a forest, and there’s no one around to see it…will Google still pick up the feed? For those of us who spend time blogging, one of the more critical questions is: “How do I get people to read my blog?” After all, if we’re out there hustling to write content for the blogosphere, how valuable is it if no one reads it? 2. Write relevant material to suit that audience. Now that you have identified your audience and know what kind of stuff you want to write, make sure that it remains relevant to your audience. If you veer off course (start talking about dinner recipes when your audience was specifically attracted to your acting career), you’ll run the risk of losing those hard-won followers. That said, there’s nothing wrong with diversifying your blog material, just make sure you work that into the overall identity of your blog. This will let people know, in advance, what they can expect from you. 3. Keep your blog updated regularly. The good news: You can decide what “regularly” means to you. Is it once a day, once a week, once a month? It’s a good idea to note how often you plan to blog, and make that general schedule available to your readers. Then, keep to that schedule. If I tell my readers that I post several times per week, I want to make sure that I deliver on that promise. 4. Use common key words/phrases that match your identity. This article you’re reading will get three times as many hits as most acting blogs because it is loaded with common phrases that actors search for every day. A glance into my blog’s web stats shows that the last five people reached my blog after searching for “reputable nyc casting directors,” “nonunion buyout,” “What is deferred pay,” “special skills for actors,” and “why do actors need agents.” You want to be sure to write about topics that your audience is searching for. This will help your blog rise in Google’s rankings. This is referred to as SEO (search engine optimization). I’ll also mention that I get a lot of web hits when I use household/popular phrases in the blog title. One of my top blog posts is called “It’s Gonna Be a Sunshine Day.” Can you imagine why? 5. Make your blog available via an RSS Feed. Use a service like FeedBurner to create RSS feeds for your blog, which will allow your readers to view the blog via an RSS reader. FeedBurner also offers an option for email subscriptions. Most blog services include widgets or plug-ins for FeedBurner. 6. Merge your blog with Facebook, Twitter, LinkedIn, IMDb, etc. Most social networks allow you to integrate your blog into your account, and you’ll need an RSS Feed (like the one mentioned above) in order to make this work. I use a service called “Add This” to automatically post my blog to my social media account. 7. Track your success. It’s a good idea to use a web tracker like Google Analytics to track how readers are reaching your blog and which pages are the most popular. Most blog services (like Blogger and Wordpress) also have a built-in stats page that can offer insights. 8. Practice what you preach. The best way to drive traffic is to read other blogs religiously and leave comments with your blog address in the “website” field. The more blogs you interact with, the more likely you’ll see the favor returned. This goes for reading blogs on Facebook and Twitter too. Comment on and forward/share those that you love, and be sure to let them know where they can read your work too. I hope you enjoyed this detailed info about finding and keeping readers. Happy Blogging! 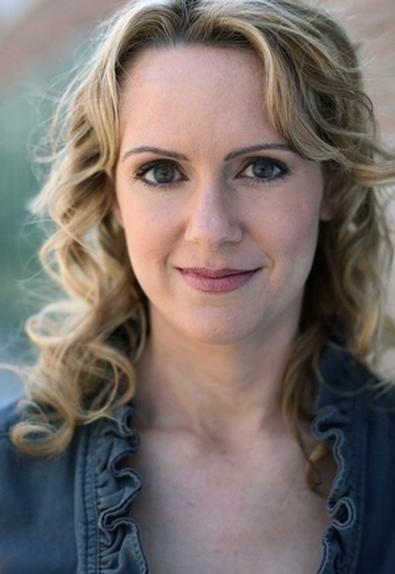 Erin Cronican is a professional actor (SAG-AFTRA/AEA) with over 20 years of experience performing in film, plays and musicals (NYC, L.A., regionally), and on television. She also produces and directs with the Seeing Place Theater, a critically acclaimed non-profit indie company in NYC.